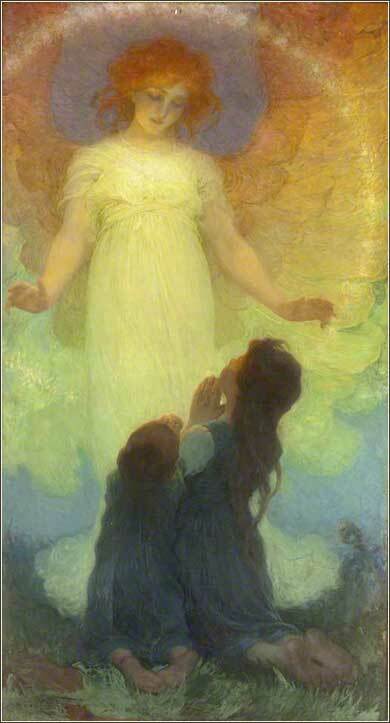 Guardian Angel by Franz Dvorak, ca. 1911. A reminder of the sweetness of Christ's grace. The words of the first paragraph, which seem like a simple statement to us, were shocking to the Jews. For over a thousand years, they had been taught that their dietary laws were mandatory, if one wanted to be righteous before God. To eat pork (for example) was to defile oneself, to become unclean in God's eyes. It was sinful. The entire basis of Judaism lay in literal compliance with the law. To say that this is outright wrong, as Jesus does here, cuts the legs out from underneath the Pharisees' religious beliefs. In the Sermon on the Mount, specifically the first section in Matthew 5, Jesus had already preached that the righteousness of the heart and mind was more important to God than the outward compliance with ritual; but there, He also gave the rather perplexing gloss, that He had not come to abolish the law, but to fulfill it. He attacked Jewish hypocrisy, not Judaism. 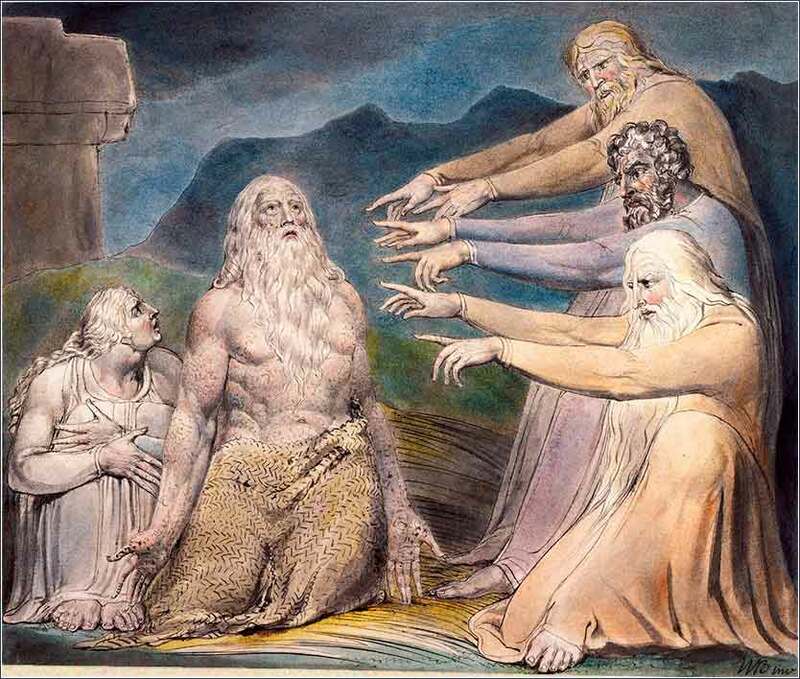 Similarly, when He was accused of impiety because his disciples gathered food on the Sabbath, and when He healed the man with the withered hand on the Sabbath (Matthew 12), He sought to conciliate his teachings and actions with the law of Moses; his defense to his critics was that they were interpreting the law incorrectly. Here, however, Christ seems to take his message a full step closer to outright revolution. His words imply that a core belief of the Pharisees, based explicitly on the law of Moses, is simply wrong. And in fact, the parallel version in Mark spells it out for us: “(Thus he declared all foods clean. )” (Mark 7:19b). We have seen, in previous chapters, that Christ often would transform a literal outward law, that is, a law pertaining to some particular external action, into a spiritual equivalent, a more general rule for the heart. In many cases, He would make a Mosaic law more stringent, such as telling us that holding hatred in our heart was the equivalent of murder. So, as to the dietary laws, we might say that Christ has not completely abolished them, but rather transformed them. He continues to speak in terms of defilement, but He is concerned not with defilement of the body, but rather, defilement of the soul. The laws that we not put anything unclean into our mouth are transformed into rules that we not allow anything unclean to come out of our mouth. We can surely harm our bodies by ingesting something harmful, but this will effect only our life on earth; what will effect our righetousness before God, and thus our eternal life, is what we emit from out mouth.